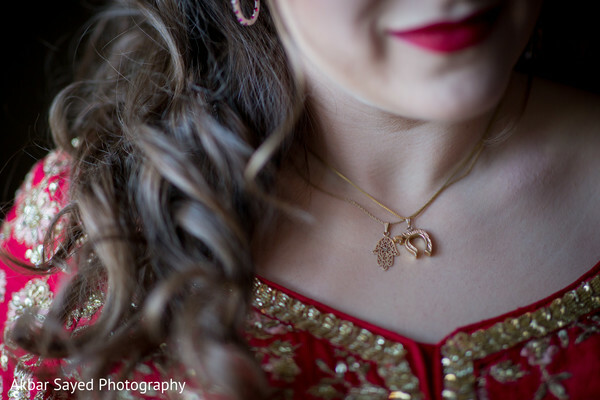 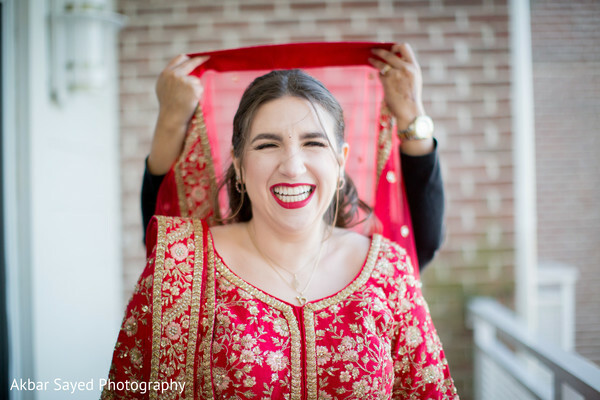 Good Morning ladies and welcome to the incredible Indian-Jewish wedding journey of Cassie and Kishan documented by the brilliant Akbar Sayed Photography. 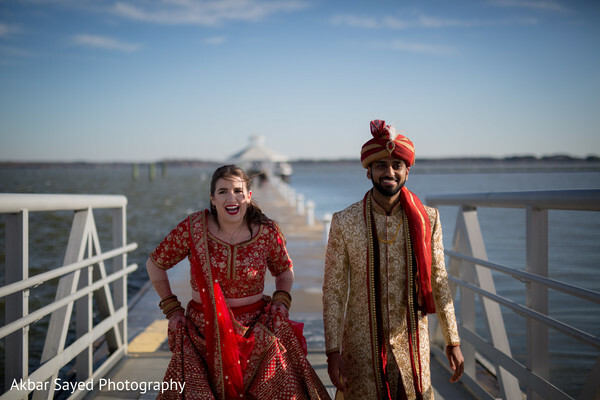 The lovely couple made their way to their ceremony day at the beautiful Hyatt Chesapeake Bay where Cassie transformed herself into a real Maharani with the magic touch of Anjali Godhasara. 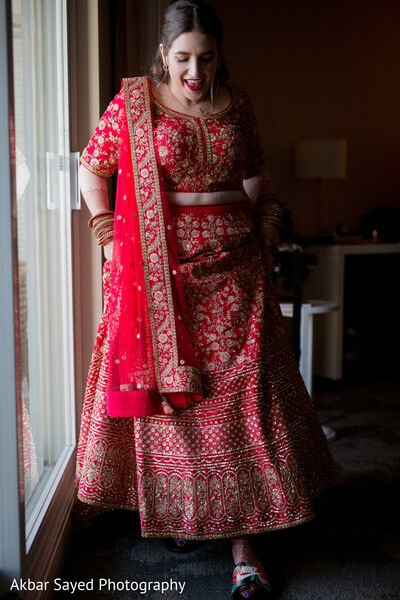 The bridal expert helped the lovely bride slipped into a dreamy embroidered lehenga festooned with charming floral motifs and completed the princess look with a shade of red in her lips! 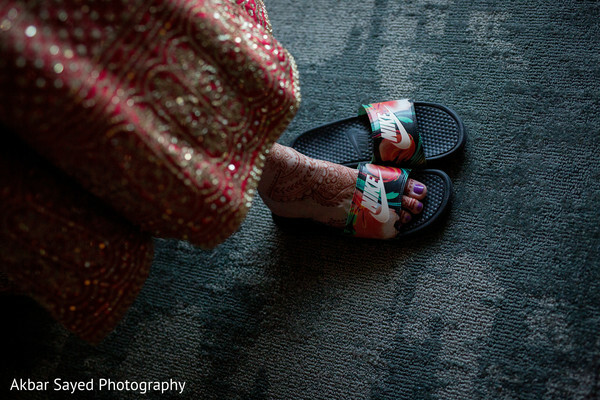 As a special treat, our smart lady opted for a pair of slides in order to stay comfy during her nuptials. 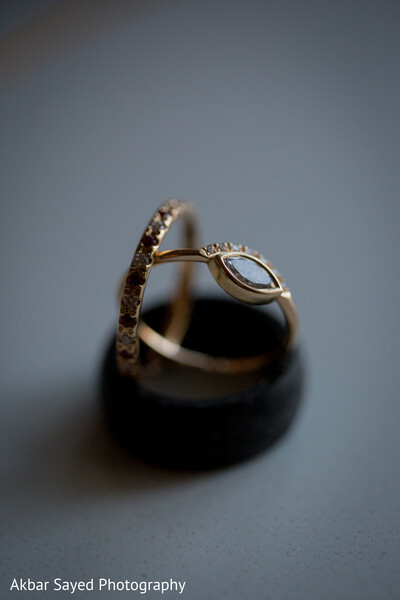 How smart! 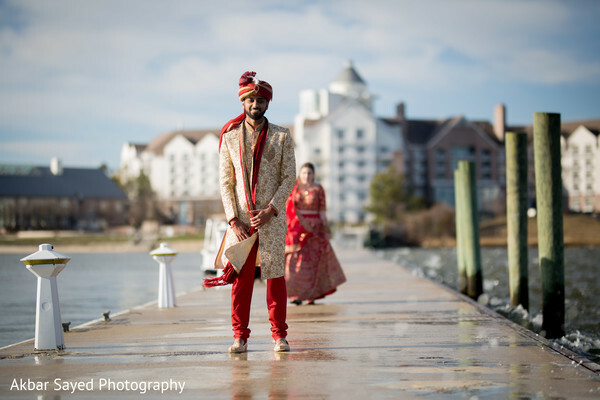 Looking flawless, Cassie surprised her Raja Kishan at a romantic pier, the dapper groom wore a stunning dual color turban that perfectly went with his cream embroidered sherwani. 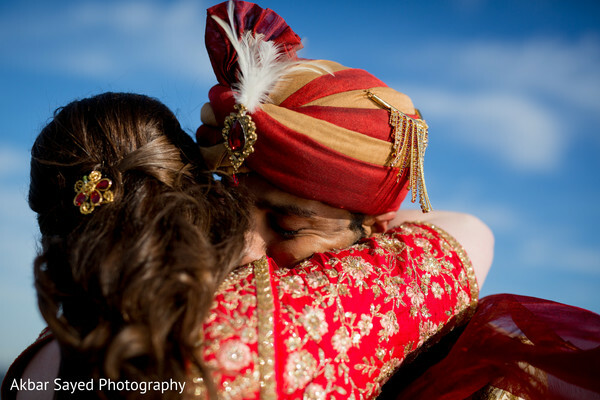 The emotional encounter was filled with heartfelt moments you will see in our full gallery and that I am sure will brighten your day! 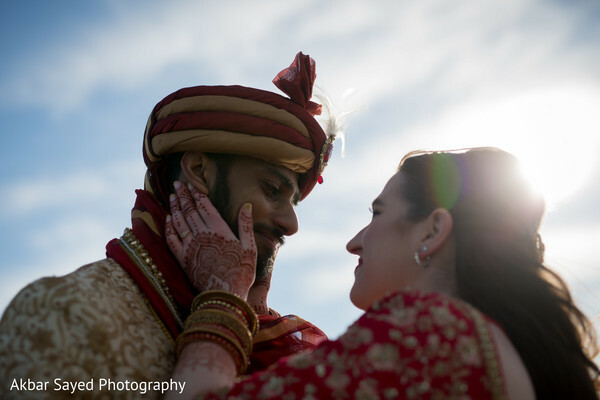 Don’t miss the striking setting that was set up for these two to join their lives in our following feature!